Einfach Himmlisch - AR in a Live event from d.solve on Vimeo. Einfach Himmlisch 2018 is a weeklong Christian Music festival commissioned by the Archdiocese of Cologne. 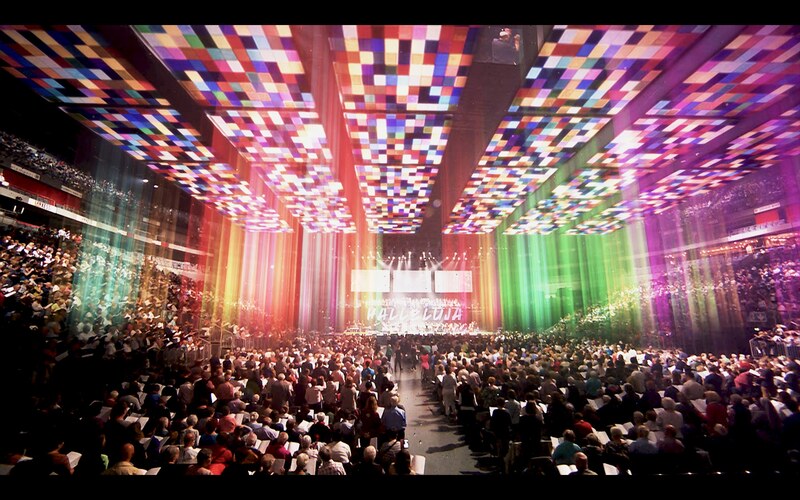 Taking place at the Lanxess Arena, Cologne, Germany, the show’s finale would feature 16,000 musicians performing to a live-stream audience of 30,000. Berlin-based Studio One is a joint venture of d.solve gmbh and relative.berlin specialising in Notch real-time content and interactive tools. Urs Nyffenegger is the head animator and interactive content specialist at d.solve. Director Chris Cuhls wanted to create a modern and accessible Christian Music festival. His vision was to programme a live event that could also excite an online and broadcast audience. To realise his vision he brought in a team of specialists: d.solve, Studio One, Visual People and By Lex. Drawing from his experience in broadcast television, Urs began conceptualising an AR environment that would act as a visual extension of the show. Working to a limited budget and time-line Urs needed a software solution that would facilitate content creation at a rate of knots. Using a workflow combination of C4D and Notch Urs and his team of animators created Models and complex Animations: “We would prepare the models in C4D and then transfer them into Notch’s real-time environment. We used Notch’s particle animations and cloners to create a bit of magic”. To properly integrate with the live broadcast signal the AR content had to be split into separate RGB rendering and separate key/matte/alpha outputs. Working seamlessly with disguise’s media server, Notch enabled content to be output as a key and fill signal. In just six weeks Urs and the team went from concept to delivery. Urs was able to react instantaneously during the limited rehearsal time. Using Notch he could expose the parameters and values of his animated projects in real-time. This allowed Urs to change design elements in the AR scene and chose scenes that would not reveal any camera discrepancies. During the show, Notchblocks inside disguise delivered the key and fill signal for the video mixer to overlay content in real-time. The broadcast successfully aired live on Christian website Domradio and was broadcasted later that month on German TV station WDR. 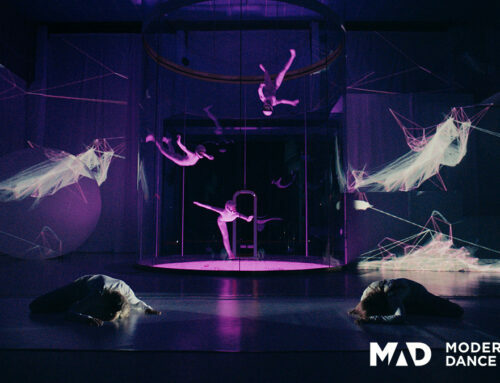 With a limited production time Urs and the team were able to produce beautiful and fitting visuals that really brought the festival to life for viewers at home: “The feedback was great, the Director of the Show and the people watching the live stream were totally overwhelmed with the AR”. Amen to that.